Yay! Another fashion set! I'm soooo happy to see Kara come back with a song I actually like! It's been a minute, ladies. Their MV for Cupid is nothing groundbreaking in my opinion, but I thought some of the looks were really lovely! The looks where they were inside the huge Tiffany boxes especially stood out! They wore glamorous sparkly black and white ensembles that I just adored. The look on the left is based on those! Try a black bustier over a sheer top and tiny black shorts for a night out. Throw on some statement jewelry and bedazzled heels and hit the town! I included a Tiffany blue clutch as a nod to the scenery. Also, don't forget to add some glitter to your makeup--think living jewel! The middle look was based on the cowboy hat outfits during the dance breaks. Now, I'm from the South and have worn a cowboy hat on occasion, but I certainly wouldn't wear one around Seoul! Try replacing the hot pink hat with a cute hot pink headband. I also added a little Western inspired bag for fun ^o^. Also, Kara's lipstick game was ON POINT in this MV. I might even have to do a makeup tutorial on it! The look on the right is sort of inspired by the all white looks the girls were sporting which I found ultimately forgettable. I added a dress with that same Tiffany blue color for some visual interest and the cute arrow necklace as a nod to the title. Their nails are a lovely pastel pink too! You can wear some white oxfords for a cute casual look and put on some heels to dress it up! Weren't the girls lovely? Keep in mind, these are general guidelines. I certainly don't suggest $1,040 shoes (unless you have that kind of disposable income...can we trade places? ), but it's easy to find cheaper options! What did y'all think of Kara's comeback? Do you like the song? Who is your favorite member? ^^ Please put requests for looks from any K-pop MVs in the comments! 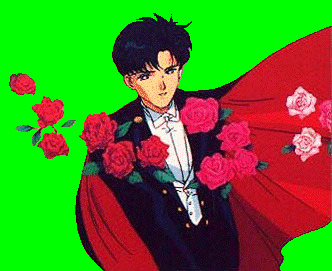 Also, was anyone else fondly remembering Tuxedo Mask with the weaponized roses?? Oh, those were the days! 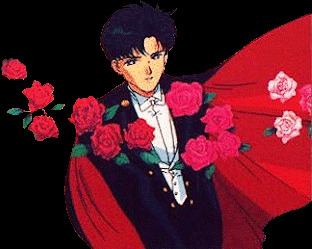 My first Asian guy crush lol. Maybe my first crush in general.